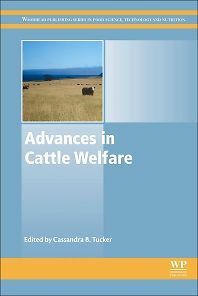 Advances in Cattle Welfare provides a targeted overview of contemporary issues in dairy and beef cattle welfare. The volume addresses welfare-related topics in both research and on-farm applications. Opening with an introduction to cattle production systems, the book covers the three major areas of cattle welfare; on-farm welfare assessment, behavioral priorities of cattle and novel perspectives on specific aspects of management. Chapters examine the key issues within each area, including such topics as the goals and measures included in welfare assessments, the importance to cattle of access to pasture and engaging in social behavior, human-animal interactions, painful procedures, and disease and metabolic challenge. This book is an essential part of the wider ranging series Advances in Farm Animal Welfare, with coverage of cattle, sheep and pigs. With its expert editor and international team of contributors, Advances in Cattle Welfare is a key reference tool for welfare research scientists and students, veterinarians involved in welfare assessment, and indeed anyone with a professional interest in the welfare of cattle.